The lite-brite is a toy I’m sure we all remember from our youth. The simple toy, composed of a back light, plastic shell, and a multi-holed interface for the insertion of plastic lights (the impetus for the namesake “light”). The bright then ostensibly refers to the light waves given off by the refraction of incandescence through the translucent plastic pieces. These pieces come in an array of natural colours, primary and secondary in order to let the viewer fixate on any artwork imaginable without being taken out of the experience due to a limited palette. The lite brites themselves act as a mirror into what we truly want to create and thus perceive with something more than our minds eye- it must become real and thus is no longer seen as beautiful, but beautiful-seen. 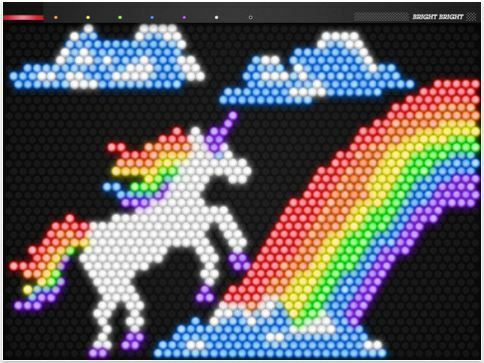 The lite-brite was invented in 1967 as an obvious homage to skywriting, neon as an artifice of direction and enchantment, and the constant shifting of lighted-highway signs. This amalgamation proved to be both a welcome opportunity for artistic advancement in those not naturally gifted, as well as an outlet for the inner light to be reflected in the warm visage of a child’s face. Either way, Lite on you crazy diamond. With the rise in 3-d printing and the availability of such machines as an affordable outlet for design and creation with real world application has come the need for reasonable printing design emulators. 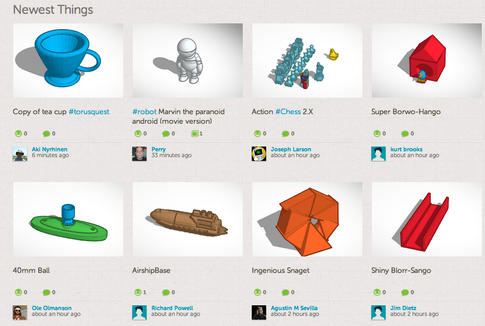 Sites like thingiverse and shapeways, hundreds of printing designs can be easily downloaded, and after running through the correct software, printed speedily and without hassle. 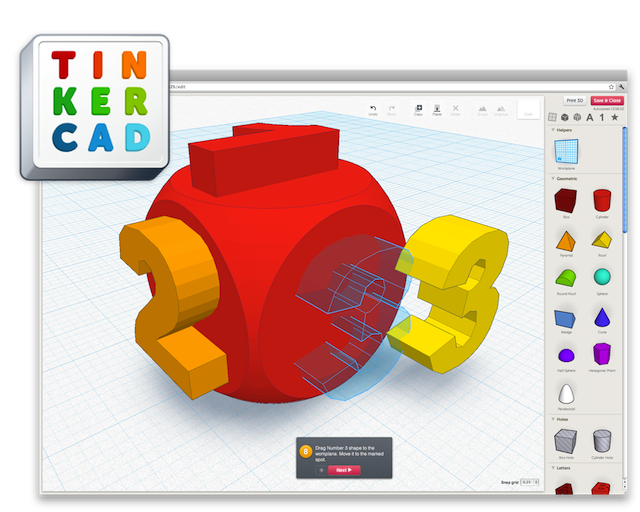 Some of these sites are limited to browsing currently existing designs, and Tinkercad hopes to fill the void between creation and dissemination. 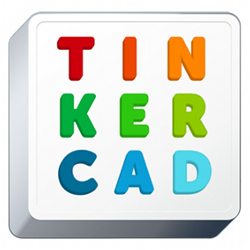 The Tinkercad software itself is quite intuitive and easy to use. With dozens of tutorials built into the creator itself, grasping the basics and more advanced techniques with the program is both simple and fun. It was straightforward and uncomplicated for me to quickly create complex objects from the limited but encompassing variety of 3d pieces provided. 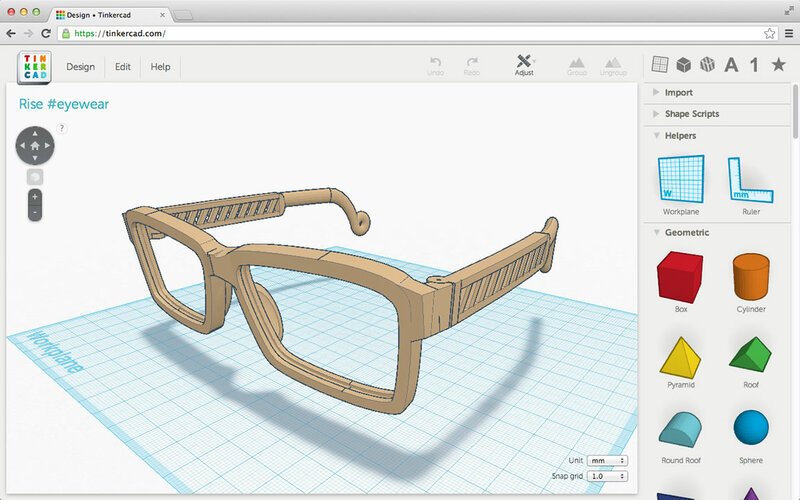 After the designs are finalized, they can be easily saved and imported into Makerwrare. After some quick formatting changes, they are sually ready to be printed on either our Makerbot I or Makerbot 5th generation machines.